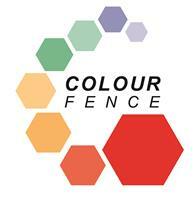 Colourfence Cornwall - Fencing/Gates based in Treven, Cornwall. All colours can be mixed and matched, with or without decorative trellis, to provide a bespoke coloured fence to suit your garden. Our range of colours adds a new dimension to any space which will enhance your garden design. Our durable garden fencing panels are guaranteed not to rot, warp or peel for 25 years and can withstand wind gusts up to 130mph, giving you real peace of mind whatever the weather may throw at us. We are a friendly team dedicated to bringing outstanding customer service, combined with a quality product. · Service with a smile whatever the weather!